Since we were in the mode for park visits, we went on into Wales and Snowdonia National Park after leaving the George Inn and its delicious home cooking. We had been to Snowdonia previously, back in the 50s, and felt it was time to recalibrate our perspective of the area. Additionally, our brand new son-in-law has a house in the hills with - drum-roll please - an internet connection! We found the house, broke in, gulped down a few hours of internet and promptly retired exhausted, to spend the night in the yard. It was cold in Snowdonia and that too, was how it left us, little change from 50 years ago - just not our bag I guess. Thus, ea rly next morning found us on our way back to England, to the comfort of an old market town, Leominster - Ahh, traffic, crowds, noise, pollution - much more to our liking! Leomister (pronounced Lemsta), likely got its start around 660 CE when a monk, St. Edfrid, established a christian community by the river Lugg. In the 12th century, Henry II ordered a Benedictine monastery to be built of which the Priory Church of St. Peter and St. Paul, now the Leominster Parish church, is the sole survivor. The town was incorporated in 1554 and became an important center for the wool trade from the 13th to the 18th century. With its 11,000 population, Leominster is an aging market town, seemingly coasting into oblivion following its glory days as regional wool capital. The agrarian based economy now includes produce and livestock and the staging of cattle and sheep markets. The market is held each Friday and is centered on Corn Square. A colorful Leominster claim is that the last recorded use of the ducking stool occurred there. A (presumably wanton) lass, named Jenny Pipes was awarded the ride of her lifetime in 1809. For more views of this tired town, click here. The second largest Crown forest in England is the Forest of Dean in the county of Gloucestershire (pronounced Gloster-sheer), in the southwest of the country right next to Wales. Roughly bounded by the city of Gloucester (Gloster) to the east, the river Wye to the north and the west and the river Severn to the south, a large part of this 27,000 acres of mainly woodland was restricted to royal hunting prior to 1066 CE. Like the New Forest, we had never felt the urge to visit the Forest of Dean while we lived in England so this was our first experience. Again, like the New Forest, it did not trip our trigger and after a cursory drive through, we left and hunted down our next stopover. This turned out to be in a two pub hamlet with no discernible center - just two or three lanes off of the A38 road with a few scattered houses. 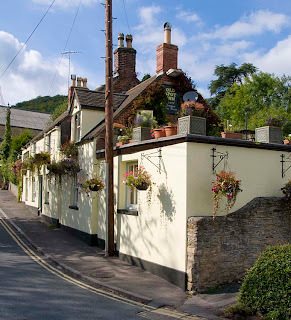 Both the White Horse and the George Inn pubs are on the A38 but only the George had an accompanying campsite and thus became our home for a while. 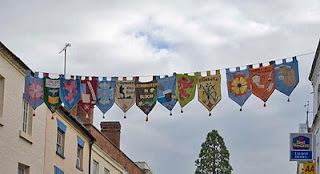 The following day we embarked on what turned out to be a grueling bicycle ride and visited the village of Slimbridge and the town of Dursley. Pictures of this tawdry tale here. Despite having lived in England for almost forty years, we had never visited the New Forest, a 141,000 acre park like area in the south of the country. "New", of course, is a relative term - this particular forest having been created as a royal forest in 1079 by William I - William the Conqueror - for private hunting use. Essentially, 20 plus small communities were deemed to be a single area exclusively for the kings pleasure with deer strictly off-limit for non-Royals. The actual territory, in reality, is too poor for viable farmland and comprises open foraging areas, heathland, bogs and some treed areas, with about 25 miles of coastline on the English Channel. It is contained within the counties of Hampshire and Wiltshire. 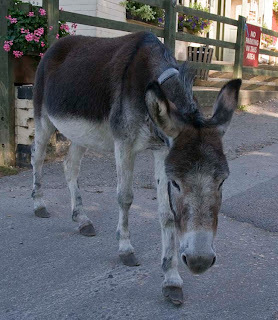 Perhaps the most renowned and well loved feature of the New Forest is the presence of hundreds of ponies and donkeys living in the wild throughout the area. The New Forest Pony is one of the indigenous horse breeds of the British Isles and most of the Forest ponies are of this breed. On a practical note, after William I commandeered the area, an accommodation was reached with the inhabitants giving them the right to graze horses and cattle, gather fuel wood, cut peat, quarry clay, and to turn out pigs in the fall to eat acorns. Cycling, hiking and camping are popular pursuits of the eight million or so visitors drawn to the area each year. 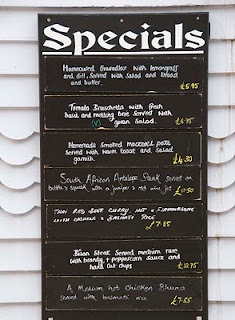 Interesting as our visit may have been, we did not regret having stayed away for forty years. Several small towns and villages exist in the forest, along with a few rural commercial enterprises making the total population to an astounding 38,000. In 2005 the forest was granted National Park status - the eighth in England - and is the country's only UNESCO natural World Heritage Site. Our selected campsite was in the backyard of The Red Shoot Inn, located in the heart of the forest. 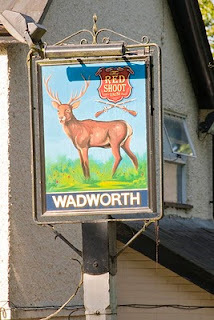 The pub takes its name from Red Shoot Wood and had previously been a gas station and before that a private members club. The pub has been in operation since 1963. Click here for additional pictures. 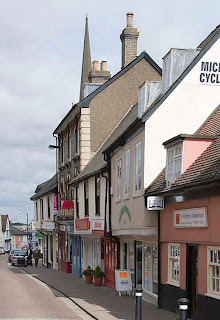 The village of Clifton Hampden, population a little over 600, is on the north bank of the River Thames west of central London by about 50 miles, in the county of Oxfordshire. 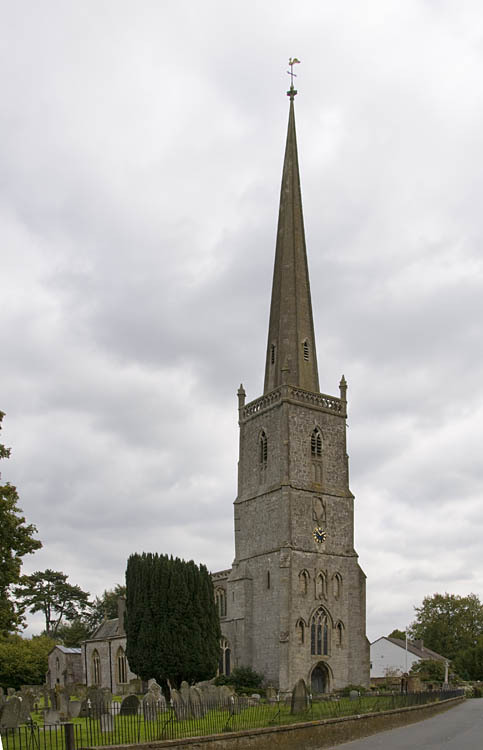 It is in the parish of the Church of England church of St. Michael and All Angels, built circa 1180. The Church of England Primary School, originally built as a Christian school in 1847 is across the lane from the church. The one room all-grades school was reorganized into a primary school in 1934. 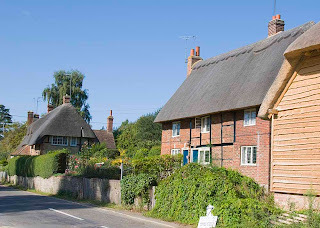 A number of cottages in the village hark back to the late 16th and early 17th centuries and, from the early part of the 14th century, there was a ferry across the Thames between Clifton Hampden and Long Wittenham, replaced by a six span brick bridge in 1867. 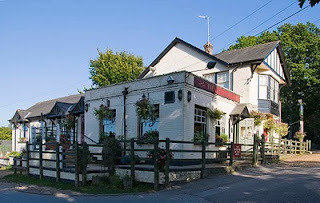 The Barley Mow pub, where the campsite is located, is across the bridge, and is actually in Long Wittenham parish. Clifton Hampden, the Barley Mow and the Thames are featured in the 1899 Jerome K. Jerome book, Three Men in a Boat, which was later made into a movie. 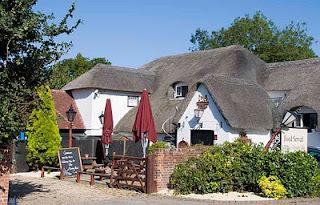 There currently appear to be two pubs in Clifton Hampden - The Barley Mow, where we stayed, that claims to have originated in the 14th century from two old farm cottages and The Plough, which dates from around 1600, replete with timber beams, inglenook fireplaces and a thatched roof. As usual, more pictures of this exquisite little place await you here. After a wild, wet and windy reception to England's shores we cowered in the Parkston RV Park near Harwich until the storm passed. The following day, although brighter, was cold and blustery but then, this is England! 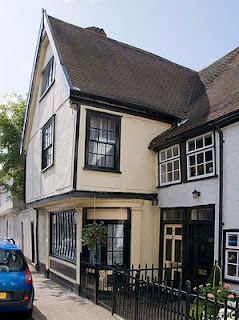 Harwich is on the east coast of England in a region known as East Anglia. The last ten years of our time in England was spent in East Anglia near the city of Bury St Edmunds in the county of Suffolk and this was to be our first wallow in nostalgia. We actually lived in the tiny hamlet of East Barton, population 20 or so, which was a mile or so south of Great Barton, population 2000, and east of Bury St Edmunds proper by four or five miles. We stopped by and looked at the old homestead on our way along memory lane. 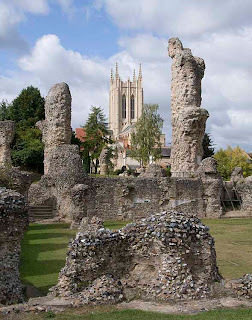 Way back in 633 CE, Sigebert, the king of the East Angles founded a monastery where Bury St Edmunds stands today. In 869 CE, the then king of the East Angles, a fellow named Edmund, was killed by the Danes during one of their forays into England. 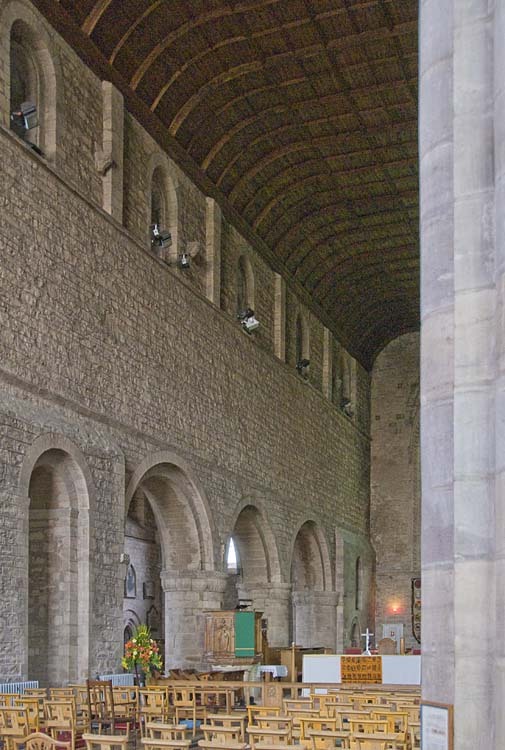 Thirty plus years later, in 903, King Edmund's remains were brought to the monastery for internment. By 925 CE, Edmund had been promoted to a Saint and a Martyr becoming quite well known and elevating the monastery to a pilgrim destination. The town of St Edmund's Bury developed in the midst of all this hype and later came to be known as Bury St Edmunds or locally, simply as Bury. Fanciful folklore has it that the name came from the fact that St Edmunds was buried here but, more probably, the Bury in St Edmund's Bury was a variation of borough, bergh, burg or borg. Be that as it may, the phrase "I'm going to Bury St Edmunds" would often be rejoined by "Oh, I didn't even know he was dead!" In 1020, after destroying the monastery and throwing the priests out, another Dane, Sweyn Forkbeard built a Benedictine abbey on the site, the ruins of which are a major claim to fame for Bury. The town is also known for the largest British owned brewery, Greene King, which also owns the Theatre Royal built in 1819, the sole surviving Regency theater in England. The largest building in the area is the British Sugar beet processing factory, built in 1925 northeast of the town. Bury mounts a large street market each Wednesday and Saturday. Other scintillating gems: Bury is home to England's oldest Boy Scout group, the 1st Bury St Edmunds. On May 3rd, 2007, the Bury town council election was won by the "Abolish Bury Town Council" party. Before it could abolish itself, the party lost its majority in a by-election the following month and, thus far, the Town Council still rules. See slide show here Part I and Part II. Arrival in Amsterdam at 9:25 am was quickly followed by a hair raising ride in a 1981 VW camper van to Numansdorf, courtesy of our Dutch agent, Donna. Here we picked up Penny, installed the propane cylinders and set off to Willemstad and the Bovensluis campground. Replete with groceries and more or less a nights sleep, we left the next day for Hoek van Holland to catch our ferry. Everything went like clockwork and by late afternoon we were at sea. About 10:00 pm we hove into Harwich, England, in a violent wind and rain storm and sploshed our way to the campsite for the night. A nice cup of tea and early to bed. See here for some views along the way. 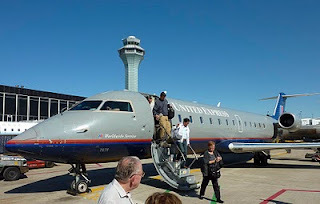 Back from Europe on July 1st, we had a ton of "stuff" to accomplish before leaving for Europe again on August 31st. First up of course, were horrible housekeeping items such as finding flights and getting them booked, ditto for ferry rides back and forth across the North Sea, locating and booking a campsite near a railroad station within easy reach of London, booking train rides in and out of London for the wedding and finding a convenient hotel in the city to stay at during the festivities. 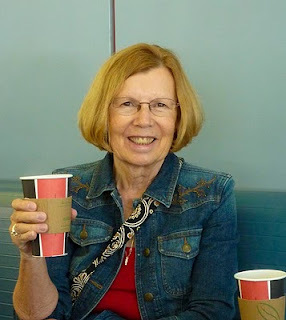 Hooray for the internet - all the above chores were readily researched, booked and confirmed without our idle butts leaving our recliners except for the occasional cup of coffee. Fabulous! The rest of the summer fairly whizzed by. 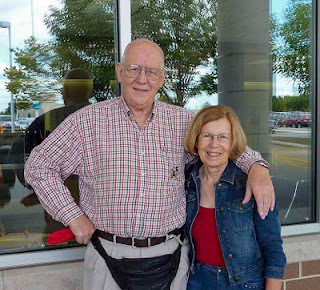 July 4th, a photography seminar weekend in Michigan, a great-grandson's first birthday, sundry marching band events, a greatly appreciated double 70th birthday bash for Marian and I and plenty of bike rides. Phew, were we ready for a break! 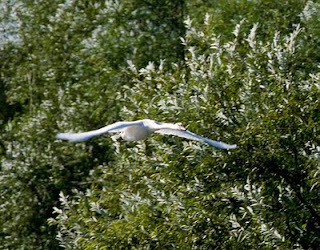 What we got instead was another frenetic month revisiting old haunts and fresh pastures in good old England. 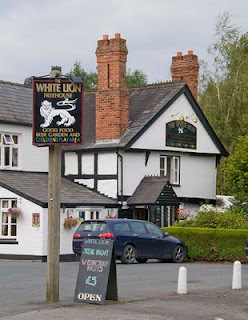 Once again, the internet was instrumental in shaping our journey, this time through the discovery of a list of around 150 pubs scattered across England that either had, or were associated with, a close-by campsite. 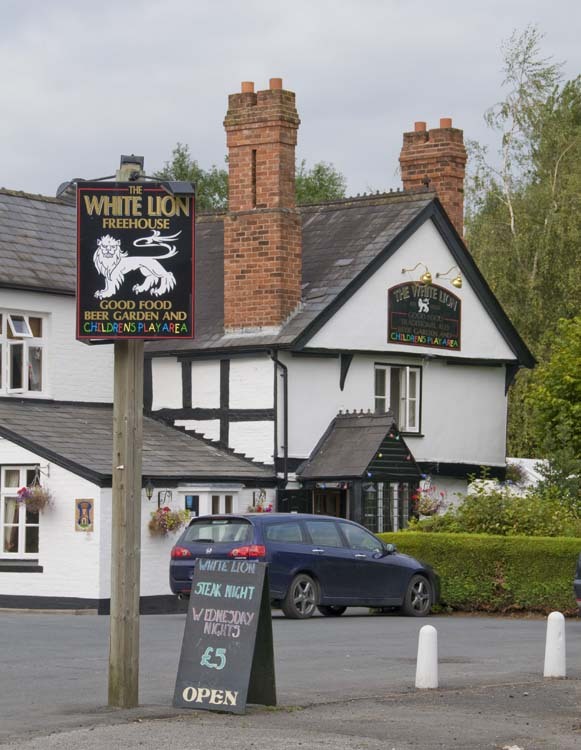 British pubs, more formally Public Houses, have been part of the fabric of life in England since Roman times and, although there are still around 53,000 in existence, they are closing down at the rate of 45 to 55 every week. It had been a lingering regret on our part to have largely ignored these treasures all the years we lived in England and here was a chance to make amends. There were two reasons for stopping by Bergen op Zoom. First, was to see what kind of place had such a whimsical name and, second, there was a campsite just a short bicycle ride from town. The campsite turned out to be enjoyable and so, for that matter, did the city. 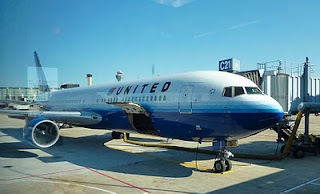 We also became delighted to be back in the Netherlands and hadn't previously appreciated the general organized and well-manicured appearance presented by most of the country - highlighted by our irksome brush with Belgium. 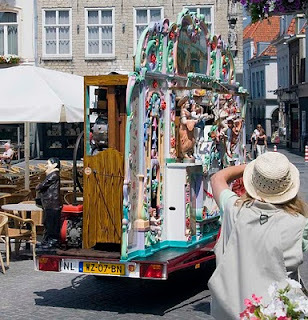 Bergen op Zoom is in the south of the Netherlands and has a current population of around 65,000. After being granted city status in the 13th century, BoZ (Bergen on the Zoom river) developed into a significant fortress and one of the main armories and arsenals of the United Provinces of Holland. Its defensive properties were complemented by the surrounding marshes, the easily-flooded polders and the ability to be provisioned by sea unless the besieging army forces also blockaded its port. Having successfully withstood aggressive sieges by the Spanish in 1587 and 1622 it wasn't until 1747, after a 70 day siege that the city finally succumbed to the French. 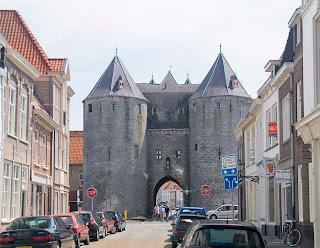 A trivial outcome of this event was the inclusion of the name Bergen op Zoom on one of the arches of the Arc de Triomphe in Paris. Click here for a slide show of this likable burg. Thirty boneshaking miles north of Namur is the little town of Tienen, chosen for the day's lunch stop. 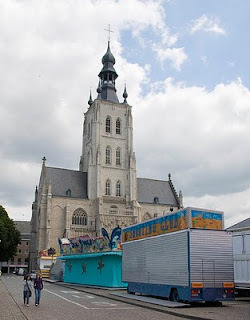 Tienen is in the province of Brabant, in Flanders, the second of the three regions of Belgium. 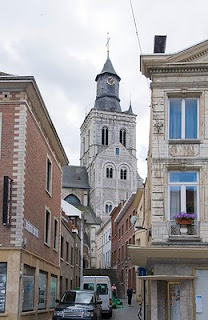 Like Namur, Tienen includes the consolidation of numerous smaller communes - this time only eight though - and boasts a total population around 32,000. It is near one of the Belgium internal linguistic borders and is Flemish speaking although, just 3 miles to the south, Belgians have French as their native language. 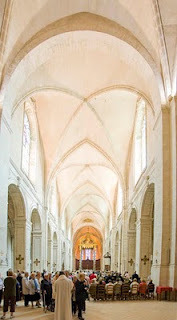 The town initially developed around Sint Martin chapel, later to become Sint Martin church. Slowly the settlement migrated a little eastward around the, easier to defend, hill on which Sint Germanus was built. Some highlights of Tienen's turbulent history may excuse the drab nature of the city today. Always under threat of invasion due to its proximity to Liège, Tienen was granted municipal rights along with the right to build fortifications and completed its first wall around 1014. In 1489, Albert of Saxony seized the town on behalf of Emperor Maximilian of Austria. In 1507 the town was wrested from the Habsburgs by the locals. In 1568 it was unsuccessfully attacked by William of Orange who returned in 1572 and seized control for about a year before being ejected by the Spaniards. Numerous similar land grabs occurred during the next two centuries until, in 1789, the locals, under the leadership of brewer Jan Windelinck secured the town for about a year. 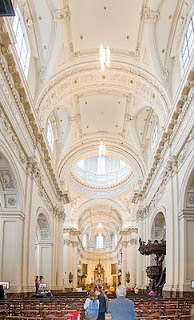 The Austrians then regained control but were in turn defeated by the French, who seized the place in 1793 The French used a former convent as an ammunition depot, which unfortunately exploded in 1793, killing about 100 people and wrecking that neighborhood. Once again, the Austrians liberated (or re-occupied?) the town but were again routed a year later when the French returned. At this point the Austrians quit for good and went home. Nothing much happened after that until the Independence War in 1830 that finally produced the modern Belgium. Subsequent to this litany of destruction of course, the whole of Belgium was ground up twice more in each of the 20th century World Wars. In common with most of mainland Europe, histories such as these must profoundly influence a nation's appetite for involvement in further hostilities no matter where those hostilities might be or however justifiable. On the east side of Tienen stands the Tiense Suikerraffinaderij - Raffinerie Tirlemontoise, a huge sugar beet refinery that gives rise to the town being known as the Sugar Capital of Belgium. As might be expected there is a Sugar Museum in town which we were fortunately able to avoid. The German group Südzucker AG, the biggest sugar producer in Europe, has owned RT since 1989. Outside of this, there are a couple of notable churches and a town hall - Stadhuis - although the latter was completely obscured by scaffolding during our visit. More pictures here. 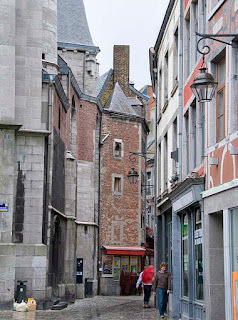 Continuing our trek north, we crossed into Belgium and stopped by Namur, a medium sized city of about 110,000 inhabitants, in the Walloon region. Overall, we were not favorably impressed by what we saw of Belgium on this route. The place had a grubby, unkempt aura and the roads were between bad and awful, some appearing not to have not been maintained since the Germans constructed them in WWII. 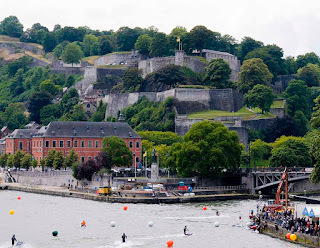 Namur encompasses the confluence of the Sambre and Meuse rivers and is a conglomeration of 20 previously independent communes. The language spoken locally is French. The Celts first developed the area as a trading center and were, as usual, followed by the Romans. In the early Middle Ages the Merovingians built the first citadel on the rocky spit at the apex of the rivers confluence. In the 1640s, Namur was seized by the Spanish Netherlands and had its citadel reinforced. Louis XIV invaded in 1692, captured the town, made it part of France and had his renowned military engineer, the vaunted Vauban, rebuild the citadel. The rebuild was none too successful apparently, for just three short years later William III of Orange captured the place. And so it went. Next up, in 1709, the Dutch found themselves in control until, in 1713, their "owners", the Spanish Netherlands ceded control to the Austrian House of Hapsburg who decided to leave the Dutch in charge anyway. For good measure, the citadel was rebuilt yet again. Confused yet? It only gets worse. 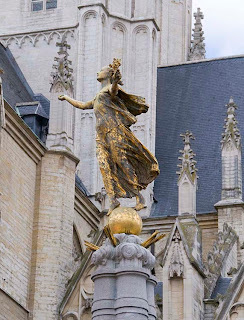 In 1794 the French returned and remained until 1815 when Napoleon was was defeated, at which point the Congress of Vienna incorporated what is now Belgium into the United Kingdom of the Netherlands. Fifteen years later, Belgium broke from the Netherlands. In 1887 the citadel was rebuilt for the fourth time, this time being declared impregnable. Events proved otherwise however, for in 1914, after just three days of fighting, the citadel fell and the Germans held the town for the rest of WWI. WWII was no kinder, with the city being crushed in 1940 as it fell under Nazi occupation after which it was mangled again in 1944 in the Battle of the Bulge. Depressing, eh? Today, Namur is a workaday city producing machinery, leather goods, metals and porcelain with some barge traffic on the river. There is a (much needed) burst of excitement each September at the Combat de l'Échasse d'Or when two teams, in medieval dress, whack each other into oblivion while standing on stilts. Fortunately we missed this. For additional exciting pictures, click here. 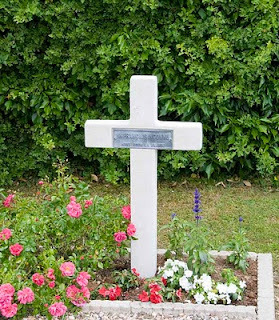 Verdun is a enduring French icon, seared into the national memory during WWI as a proxy for the wartime military fortunes of the entire country. Throughout France, streets, squares and other features are named for this town of 20,000 people in the Meuse department of the Lorraine region of northeast France. In pre-Roman times, the Gauls founded Verodunum ("strong fort" in Latin) on the rocky ridge that the present town of Verdun occupies. Later, in 843 CE, the Treaty of Verdun witnessed the empire of Charlemagne - pretty much the whole of Europe - being arbitrarily divvied up between his three sons. Around this same time, Verdun was at the center of a flourishing trade in the sale of young boys to the Islamic emirates of what is now Spain, who enslaved the boys as eunuchs. In 1552 Verdun was annexed by France and existing fortifications were progressively embellished over the years until, at the time of WWI it was believed to be invincible and so, at staggering cost in human misery, it was shown to be. Five or six years before WWI began, the Germans had settled on the Schlieffen Plan for an attack on France should the need arise. This plan promised a rapid penetration to the capital, Paris, ensuring a quick surrender. For good or bad, however, the plan was timidly executed when war did begin in 1914 and directly led to the stalemated mud and blood baths that continued for the next several years. In February 1916, attempting to break the deadlock, the Germans mounted a major offensive beginning an horrific 300 day battle that became, not just Verdun's finest hour, but a killing field for half a million men and the beginning of the end for German ambitions in the entire conflict. Initially the French were woefully undermanned and quite ill-prepared for the onslaught which consequently went badly for them. General Joffrey was replaced by General Petain who, by June, had slowly reversed French fortun es until, by the end of the year, Verdun - and Paris just 120 miles to the west - were saved from occupation. 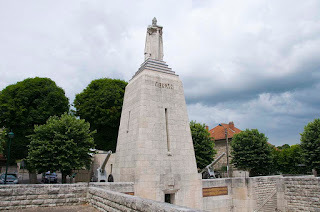 This was effectively Verdun's last hurrah as a military stronghold for, in WWII, it was trivialized as the German armies swept by the entire area in just a few days on their way to Paris and occupation. 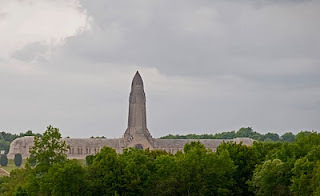 Close by Verdun is the final resting place for 14,246 American military in the WWI Meuse-Argonne American Cemetery and Memorial. The cemetery chapel contains a memorial to a further 954 Americans whose remains were either never recovered or identified. More images here.